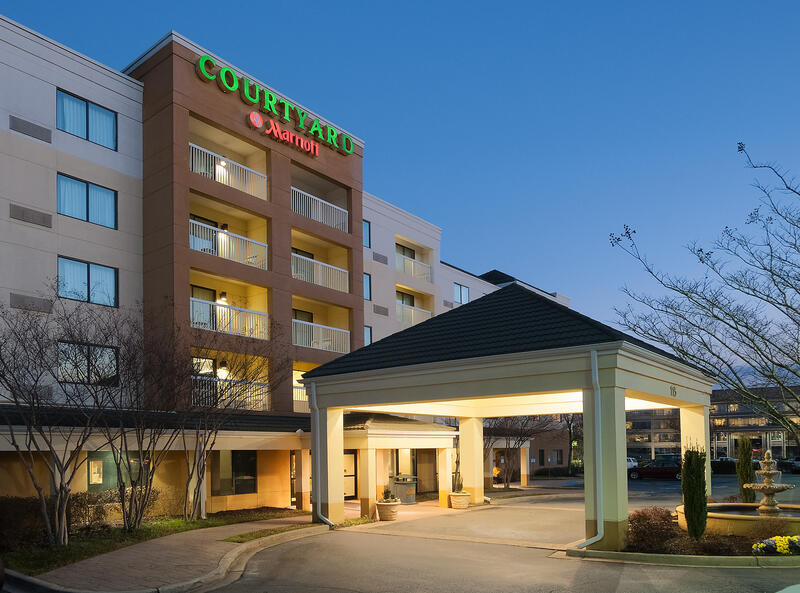 Enjoy the Casual Elegance that is the Courtyard by Marriott Greenville Spartanburg Airport. 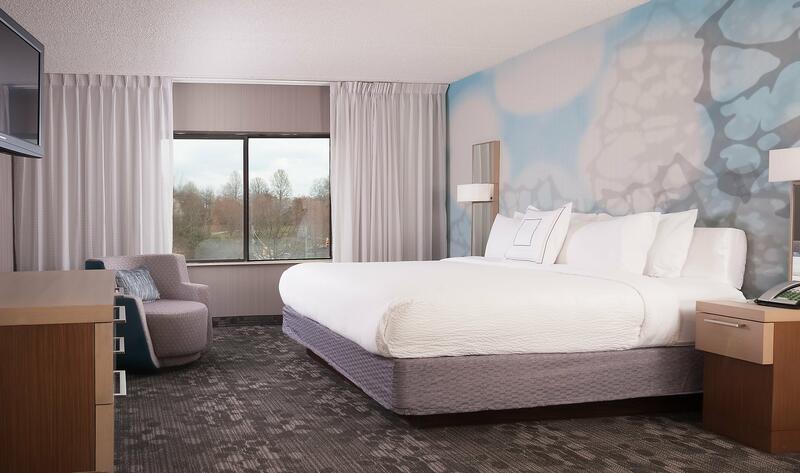 The Courtyard by Marriott is designed for the business traveler and perfect for a leisurely getaway. 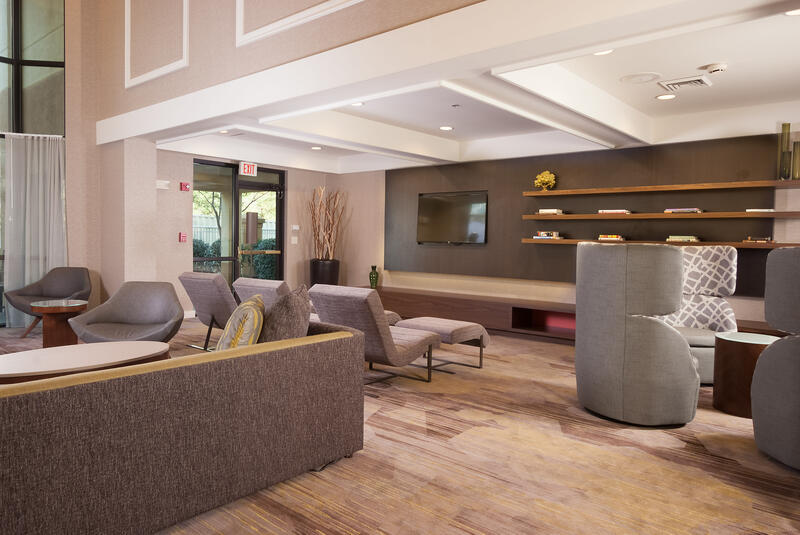 The Courtyard by Marriott-Greenville Airport features amenities designed to keep you comfortable while on the road! Amenities include free high-speed internet, private voicemail, state of the art fitness center, spacious lobby with flat screen televisions. Courtyard Cafe features hot breakfast buffet. From the moment you walk through the doors, you are welcomed by an inviting feel, an attentive staff, and of course, world-renowned Marriott service. You will soon realize why return guests consider The Courtyard by Marriott Greenville Spartanburg Airport their home away from home. Ease the days' stress away in the indoor pool with whirlpool, catch a workout in the modern fitness center, or simply relax in front of the fireplace of the Courtyard's airy sitting room with colleagues and friends. Whether it is work or fun that brings you to Greenville, SC, you will find the hotel is just minutes to all Greenville has to offer: Carolina First Center, Peace Center for the Arts, Michelin, BMW, ICAR campus, Greenville Spartanburg Airport plus fantastic dining at Greenville's restaurant row & seconds to I-85 and I-385. Description Whether you’re organizing a business meeting or planning a special occasion for friends and family, no hotel makes it easier or more convenient to get things done on your terms than the Courtyard by Marriott. With flexible meeting spaces, fresh and innovating catering, and state-of-the-art audio-visual services, you can count on having all of the choices and options to make the most of your event. You can also count on our dedicated staff of hospitality professionals to take care of the details from start to finish.